Reception Saturday, July 29, 12:30-2:00 p.m. 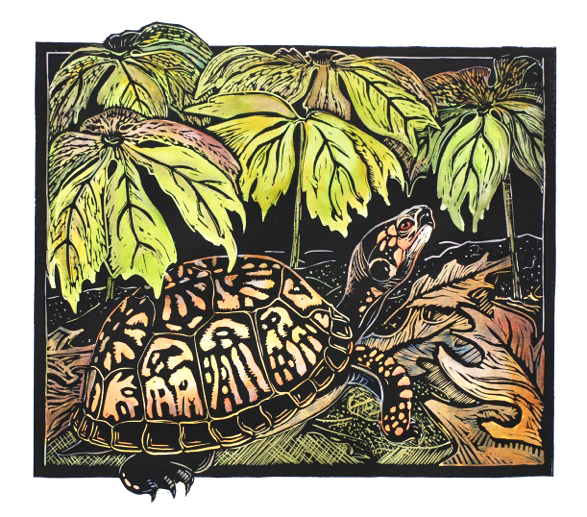 Originating from the Kalamazoo Institute of Arts’ print studio in the mid-1970’s, the Southwest Michigan Printmakers is a diverse and informal group of regional artist/printmakers dedicated to the creation of hand-made and fine art prints. Meeting bi-monthly, the group encourages artists working in printmaking and promotes excellence in the various print mediums. Through exhibitions of their works, SWMP helps to encourage public knowledge, understanding, and support for printmaking. The prints from this invitational were exhibited at both Little Cities Gallery in Kalamazoo, and in the Ginza Tower Gallery in Tokyo, Japan. The exhibit encompasses a wide selection of printmaking materials and processes. The KIA print studio is enjoying renewed interest from the community. Artists and students actively utilize the well-equipped studio for classes, workshops, and personal use. If you have never explored the art of printmaking then this is the perfect opportunity. 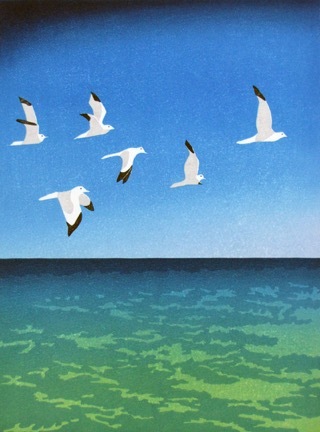 Andrew’s focus as a printmaker is capturing scenes from the natural environment. Join him in learning about the art of linoleum printmaking. In this class students will learn to compose a strong design, transfer the image to linoleum, use carving tools, and then apply ink to create a series of reduction prints that could be framed or become unique greeting cards. Printmaking is an exciting art form that has broad appeal. Pick up a design guide sheet at the NCCA-Artsplace in preparation for the class. Bring a lunch.